LOUISBURG - Frances Jones Hill, 83 of Louisburg died on April 9, 2019. She was born January 10, 1936 in Henderson, NC to the late Hugh Egerton Jones and Frances Mixon Jones. In addition to her parents, Frances was preceded in death by her sister, Lucy Egerton Jones and her special aunt, Lucy Plummer Jones. 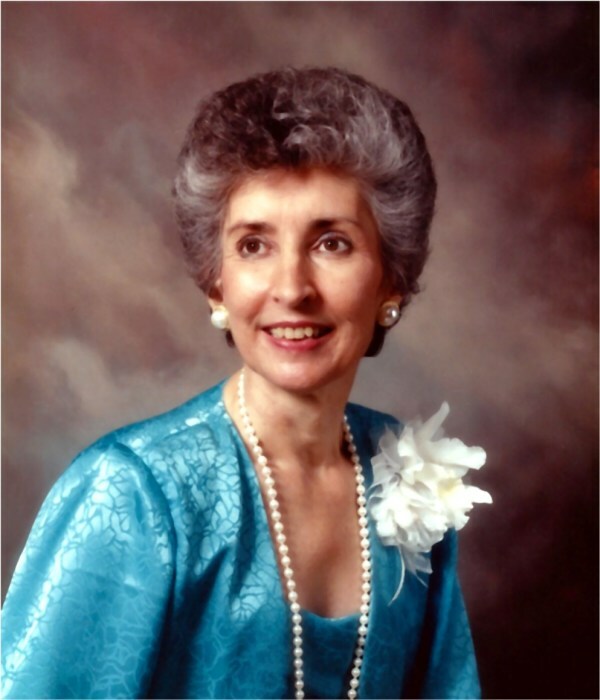 Frances graduated from Henderson High School in 1954 and from Women’s College (now UNC-Greensboro) in 1956. She moved to Raleigh and started work as a secretary with the NC Dept. of Corrections. She married William Maurice Hill, Jr. on July 23, 1960 after working together at the Dept. of Corrections. She always joked that they met in prison. They moved to Louisburg and joined Louisburg Baptist Church where they have been members of the Philathea Sunday School class since 1960. After raising her two children, she went back to work as a Teacher’s Assistant with Franklin County Schools and then later worked and retired as an Eligibility Specialist with the Franklin County Dept. of Social Services. She also volunteered at several local organizations. Frances loved traveling, especially with their close group of friends (the Crack Whiting fishing group). She loved spending time with her family and friends especially her grandchildren, Evan and Annie, traveling to West Jefferson, NC, playing bridge, working her crossword puzzles, and playing any type of game. She will be truly missed, especially her clever sense of humor. Frances is survived by her husband of 58 years, William M. (Bill) Hill, Jr. of the home, son, W. Maurice Hill, III (Angie) of Youngsville; daughter, Elizabeth H. Wilbourne (T.K. Hunter); grandson Evan S. Wilbourne (Makenzie Sheaves) of Louisburg; and granddaughter Annie E. Wilbourne (Colby Ryder) of Warren County, NC. A funeral service will be held 2 p.m. Thursday at Louisburg Baptist Church. The family will receive friends immediately following the service in the Tomlinson Room. Burial will follow at Lancaster Memorial Park. In lieu of flowers, contributions may be made to Louisburg Baptist Church Neighbors Fund, Library Fund or Music Fund, PO Box 730, Louisburg, NC 27549.